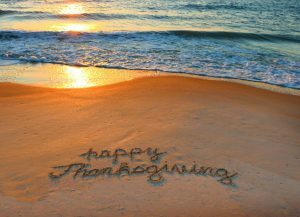 A Season of Thanks: What Should a Custom Builder on LBI Be Grateful For? Thanksgiving is a time when we take a day to reflect on our lives, the people we love, and the things that we sometimes take for granted, but that we are thankful for. As a company, we wanted to do the same thing. In this season of thanks, what should a custom builder on LBI be grateful for? Our answers may not be what you were expecting! Our home buyers entrust our team with one of the biggest decisions of their lives. When they choose us to build their new custom home on LBI, it’s thrilling, as well as humbling. We would like to thank all our home buyers who have worked side-by-side with our team to create the custom home of their dreams. We also appreciate the time they have taken to share their thoughts and experiences via social media like Facebook, Google, and Houzz. Their kind words mean a great deal to us. We take pride in the knowledge and expertise we have gained over the years in building custom homes on Long Beach Island and these reviews reflect our dedication to building relationship with our customers and community. The places we build custom homes on LBI are very special. Our beaches and bays are among the most beautiful in the country. With amenities to please just about everyone, there are a variety of beaches and bay areas that differ from one to the next. Families can have fun together on the beach, boardwalks, and eateries. The nightlife at our boardwalks appeal to the younger crowd. Bay front homes offer the convenience of stepping out of your back door to access numerous recreational activities. From boating to kayaking, jet skis and other water sports, living on the bay offers the best-of-both worlds, where you can crab or fish right in the privacy of your own backyard. There is definitely something for everyone on LBI and we love it here! Our employees are the heart of our company and we are a family building for families. We believe our team of highly regarded building professionals is the best in the industry. We couldn’t imagine doing it without our great employees and contractors. Thank you to our entire team for all they do to make our homeowners happy and every project beautiful! Doing business on LBI means your company should be familiar with local inspectors, codes and tradesmen. Earning their trust & respect means that our staff and crew are highly regarded by township officials and inspectors. The towns know when we apply for permits, or call for inspections, that our staff will do what is needed and provide information requested to complete the process so we can move on to the next phase. These relationships are critical to our success, and we are so grateful to work so well with our townships on LBI. It’s not hard for companies to get caught up in the everyday hustle and bustle of doing business, moving projects forward, and completing tasks. There are so many things the team at Stonehenge Building & Development is grateful for this holiday season, and we wish you and your family a very Happy Thanksgiving.